Charlotte was just awarded the USF Signature Fellowship for the remaining two years of her PhD. Way to go Charlotte! Congratulations to Charlotte Haberstroh for successfully defending her PhD proposal "Plastic Pollution in Coastal Urban Rivers: Spatial and Temporal Patterns of Plastic Release and Transport". Soon after her defense, Charlotte also accepted the Florida Stormwater Association Scholarship (https://www.florida-stormwater.org/scholarship), and presented her research at AUG in Washington DC. Way to wrap up the year! Congratulations Mohit Kaura for succesfully defending his MS thesis "The Role of Forests in Securing Hydropower Needs of Cambodia"! Best wishes to Mohit on his next adventures. Please see the coral restoration monitoring project website for a detail description of this project and for some cool photos of Michelle in action. We had a great turn out at the American Ecological Engineering Society Meeting in Houston, where Charlotte, Awet, Josh, and Mauricio gave presentations. Looking forward for next year in NC! Summer is here and it is promising to be a busy season! Lots of field work in Tampa and the Keys, setting up our Eco Eng. physical analysis lab, theses, workshops, and conferences. 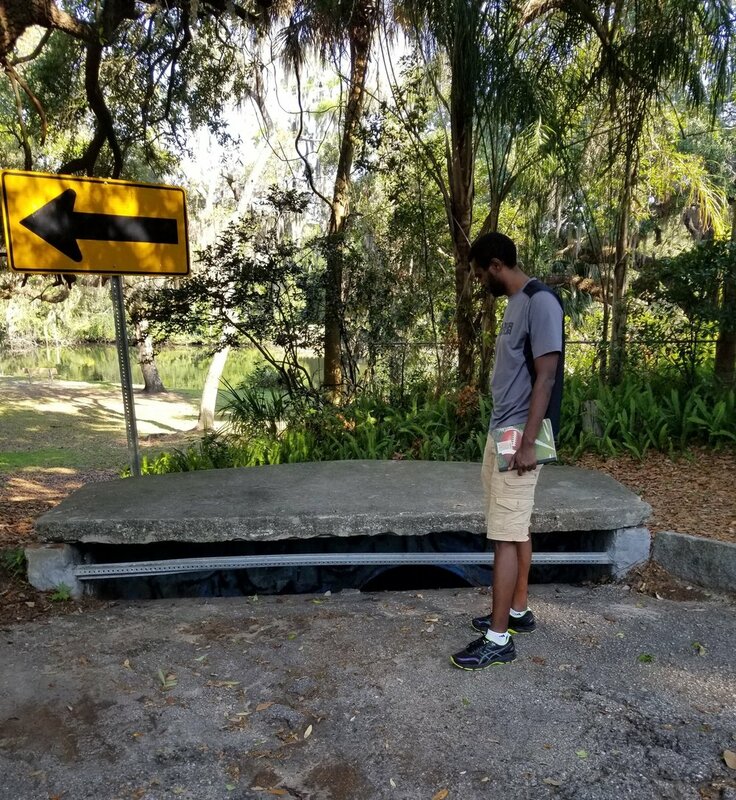 Here is Awet checking out one of our stormwater sampling locations. This semester we have been fortunate to have two new members join our group, Loren and Osama. We are all glad you joined! 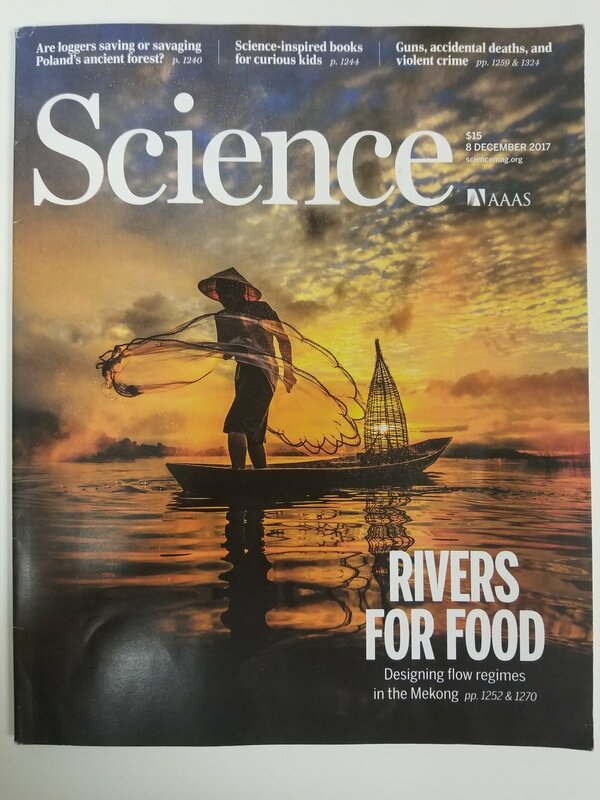 And was featured in the cover of the 2017 December 8 issue.